With most of the European football leagues coming to an end, now seems like a good time to see what is going to be available when FIFA 12 hits our screens later this year. The latest in the long line of footy games from Electronic Arts is going to be with us shortly, we hope, although no official release date is known. What we do have is an internet video showing some of the features which we can expect to see. The last version – FIFA 11 – sold over 11 million all over the world so it is fair to say that a lot of people will be waiting eagerly to see what improvements and new features are on the new game. In fact, an interesting statistic tells us that since its release under a year ago there have been 15,000 years worth of online FIFA 11 games played. 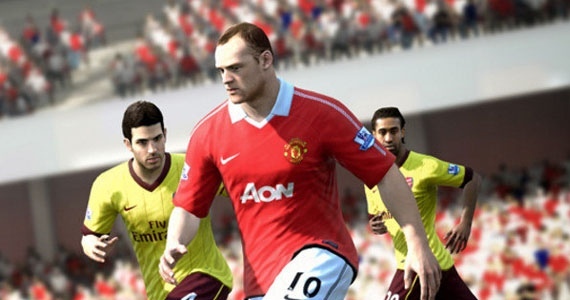 Anyway, how does FIFA 12 look? Well, there are a couple of major changes to drool over. One big difference is the addition of what is being called tactical defending. Last year’s game was criticised for making defending too simple so now you will have to do more work to close down and dispossess your opponents. Better attacking play is also promised but the one feature which is going to grab a lot of the attention is the new impact engine. You might guess from the name that this feature is all about bone crunching collisions, and these shuddering tackles are now going to have a more gruesome after effect than before. Do you like the idea to giving your mates a good kicking at FIFA 12.